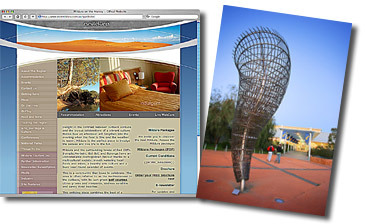 On the Victoria-NSW border near Mildura and not far from Wentworth about 570km north-west of Melbourne and less than 400km from Adelaide on the banks of the mighty Murray River. 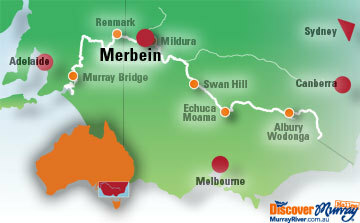 Merbein is at the heart of the irrigation district. Predominantly supporting citrus growing, vineyards and wineries, and dried fruits. Every third sunday of the month. A variety of stalls, food shops open in conjunction with antiques and second hand shops. Great day out.